Photo Courtesy of The Path Foundation The Arabia Mountain Trail is an escape route from the burgeoning metropolis of Atlanta. Located in one of the fastest growing counties in the nation, the trail connects busy commercial and residential areas with historic sites and precious parkland. A TE award helped Dekalb County and the nonprofit PATH Foundation, a local promoter of trails and greenways, to complete the first segment of trail in 2004. The five-mile section links the Stonecrest Mall to the historic quarry town of Lithonia and the 2000-acre Arabia Mountain Park, known for its beautiful granite outcrops. 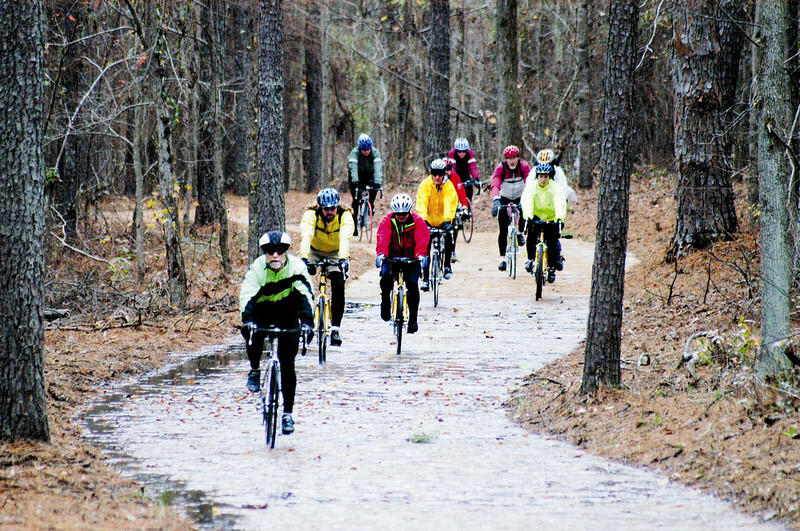 When completed, the Arabia Mountain Trail will stretch twenty miles, connecting schools, parks, and residential and commercial areas in three counties. Construction of the first trail segment was made possible through an extraordinary partnership between DeKalb County, PATH, Arabia Mountain Alliance, Georgia State Parks and several private businesses, including the proprietors of Stonecrest Mall who contributed money and right-of-way to the trail effort.